The United States is accelerating its plans to explore the lunar surface, which is an endeavor that will likely draw on the talents of students and scientists in our planetary science community. 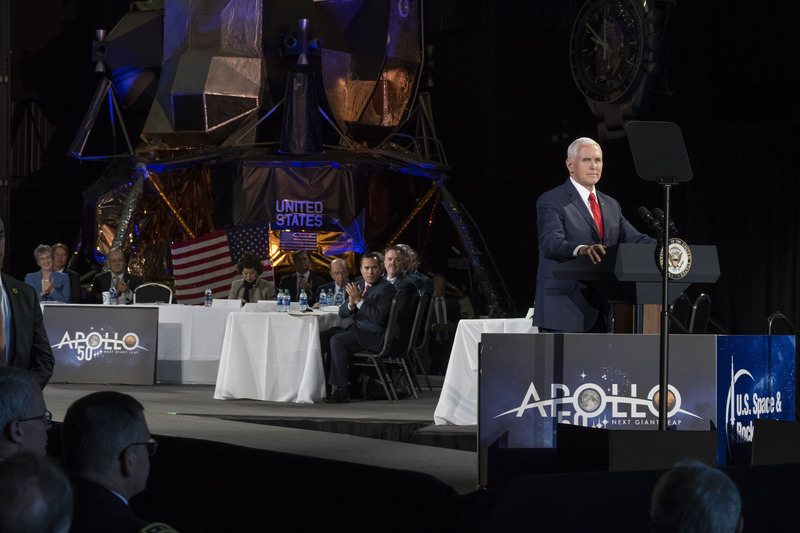 The new lunar exploration plans were outlined at a March 26 meeting of the National Space Council that was chaired by Vice President Mike Pence. NASA is charged to get American astronauts to the Moon in the next five years. We are tasked with landing on the Moon’s South Pole by 2024. Stay on schedule for flying Exploration Mission-1 with Orion on the Space Launch System (SLS) rocket next year, and for sending the first crewed mission to the lunar vicinity by 2022. NASA will continue to ‘use all means necessary’ to ensure mission success in moving us forward to the Moon.